Sure, flaxseed is full of fiber—but how exactly do you use it? Shiny-object syndrome is real in the wellness world—it seems like every day, there’s a new “must-have” superfood or supplement gunning for a spot in your pantry. A jar of lucuma here, some turmeric root there, and the next thing you know, your grocery budget’s been cannibalized by ingredients no one really knows how to pronounce. Yet no matter how many new-to-us potions and powders may be hitting the shelves of Whole Foods, there’s something to be said for the basics. 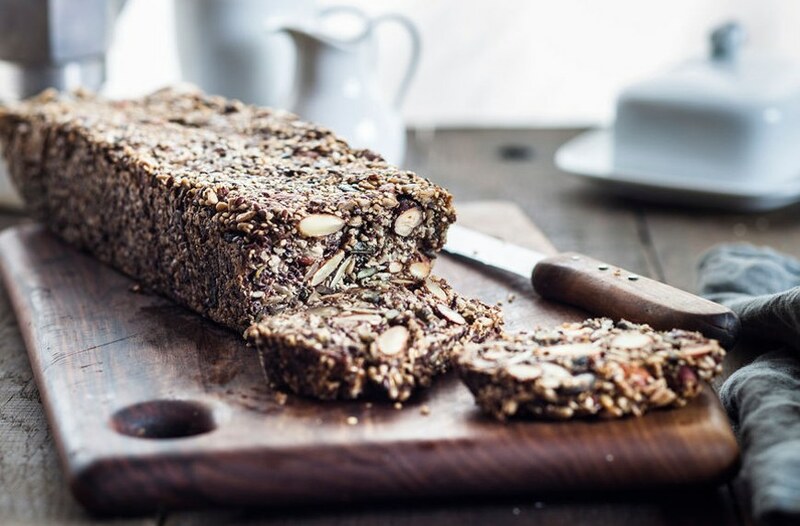 Flaxseed, for one, is a kitchen staple that should never be bumped from your grocery list, says health coach and digestive expert Robyn Youkilis. 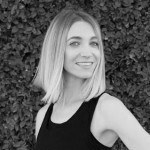 “I consider flaxseed to be one of the OG superfoods—before bone broth, matcha, and collagen were all popular, us health nuts were shopping for flaxseed at the health foods stores,” she says. There’s a reason these tiny, blonde-colored seeds have been a dietary staple for the past 6,000 years, Youkilis adds. “They’re packed with magnesium, thiamine, omega-3 fatty acids, and lignans, to name a few,” she says. These superstar nutrients have been linked with better sleep, brain health, mood regulation, and hormonal balance, respectively. Suddenly, flaxseed seems a little more exciting, doesn’t it? Keep reading for more on the health benefits of flaxseed and how to use it. In addition to the potential benefits mentioned above, there’s another major perk associated with flaxseed: It’s known to be amazing for your gut. But that’s not flax fiber’s only job. “Another benefit is that it can help keep food in the stomach from emptying too quickly into the small intestine,” Youkilis says. “This can increase nutrient absorption—so you get more out of the food you’re already eating—and can make you feel fuller for longer.” If weight-loss is your goal, she adds, this will make the process happen more efficiently and sustainably than cutting back on calories. Another option is flax oil—it’ll give you the same health benefits as the whole seeds, but again, it’s a little temperamental. “You’ll also want to store flax oil in a cool, dark place and use it when cooking at a lower temperature to retain its nutritional properties,” Youkilis says. You can add flax meal into pretty much any baked good for a nutritional boost. There are a few ways to do this: Either replace half to one cup of flour with flax meal; substitute an egg with a tablespoon of flax and three tablespoons of water mixed together; or replace every tablespoon of margarine, butter, or oil with three tablespoons of flax meal. No matter which option you choose, flax is a foolproof smoothie add-in—just dump a small amount of milk or seeds into your blender and you’re good to go. (There’s no need to grind the seeds first in this case, as the blender will do it for you.) Youkilis likes to use them in place of the chia seeds in her Blueberry Pie Smoothie, but since they’re pretty neutral in flavor, you can add them to any blend. Wherever you’d normally use olive or avocado oil, you can easily swap in flax oil. It’s a good compliment for savory and sweet dressings alike, and you don’t even need to limit it to raw veggies. Youkilis also recommends drizzling it over your proteins, fermented foods, and healthy fats, like the ones on your gut-boosting Rule of 5 Plate. Ground flax is a great compliment for yogurt- and grain-based dishes, and if you mix it in well enough, you likely won’t even notice it’s there. Youkilis’ favorite flax-infused breakfasts include oatmeal, overnight oats, and fruit parfaits. Bonus: All of these options will give you an added hit of fiber, amplifying the flax’s benefits. Inspired to revisit a few more health-food classics? Behold the many benefits of peppermint tea and fresh ginger.